A few weeks ago, I was asked to check out a new pizza restaurant in Colorado, 1000 Degrees Neapolitan Pizza. As a self-proclaimed pizza connoisseur, I was stoked to try out a new spot. To be totally honest, I was skeptical a franchise could create a real Neapolitan pizza. Having spent a lot of time in Italy, I have had some of the best Neapolitan style pizza in the world. 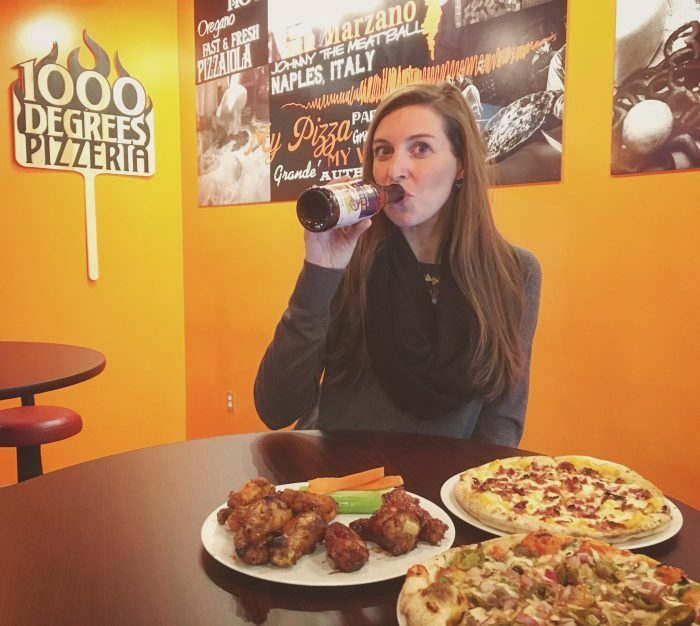 I also search out the best pizza joints in any town I visit. So basically, I can be a pizza snob, especially when it comes to Neapolitan style pizzas. The verdict? AMAZING! 1000 Degrees Neapolitan Pizza is delicious. Authentic Neapolitan pizza is a thin crust with slightly burnt edges from being cooked at almost 900 degrees. 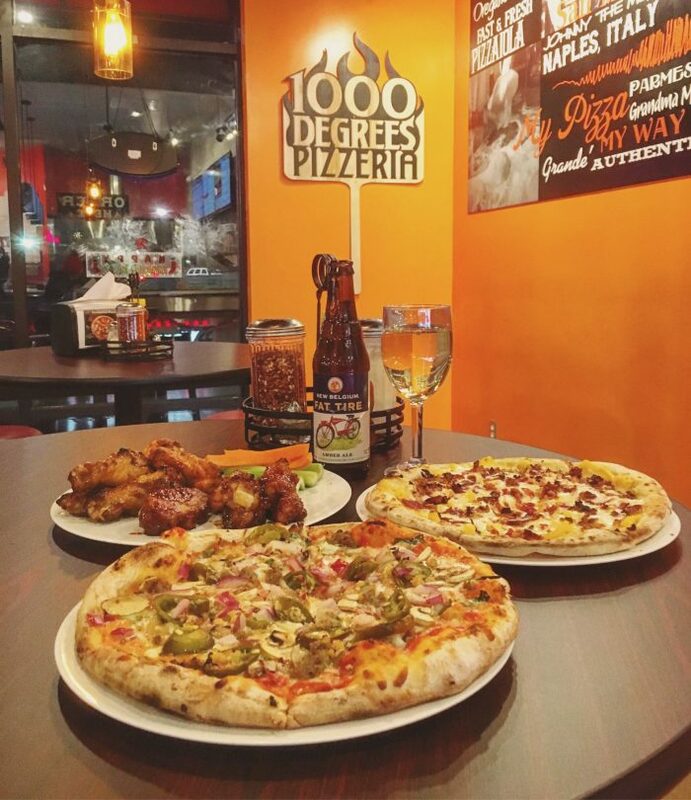 1000 Degrees dough is made fresh daily and hand tossed. Each pizza is assembled in front of you as you order. Once completed they are placed in 1000 Degree’s specially made ovens that cook your pizza to perfection in about 2 mins. The result is perfectly thin and crispy, burnt edge Neapolitan pizza you would expect from a fancy Italian restaurant. But it’s not, it’s from a quick service joint and every pizza is under $9.00! Plus gelato and a great selection of beer and wine,1000 Degrees Neapolitan Pizza is all my pizza dreams come true! I was honestly taken aback my how good the crust was. In a moment of weakness, I ordered the bacon mac and cheese pizza, while totally delicious, not really the best pizza to accompany this amazing Neapolitan crust. Next time I’ll be ordering the The Tuscan Chicken or Classic Margarita. 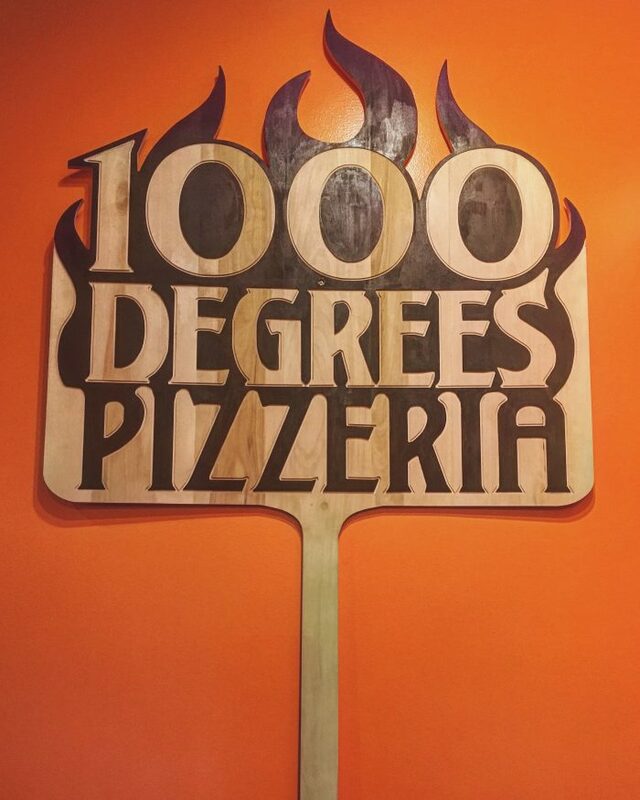 1000 Degrees currently only has one location in Federal Heights, but will soon open multiple locations across the Denver metro area and Boulder. This place is going to kill, in Boulder! P.S. Wednesday Night is Student Night at the Federal Heights locations. Show your student ID to get a pizza and fountain drink for $7.00. P.P.S. You can also order online for pick up – jackpot! Yumm! This pizza looks so good! If I ever make it to Colorado again, I will have to check this out. I LOVE pizza. The wings are best I’ve ever had. This place is awesome! We had the wings too so good! This looks so delicious! Where in Colorado? I travel to Denver for work and would love to check it out!! Thanks for sharing! The only open one currently is in Thornton so up 25 north of Denver! But they will be opening new locations soon! Oh my gosh this pizza looks so good!! I mean who doesn’t love pizza? One reason I can never do any serious diet or like whole 30!